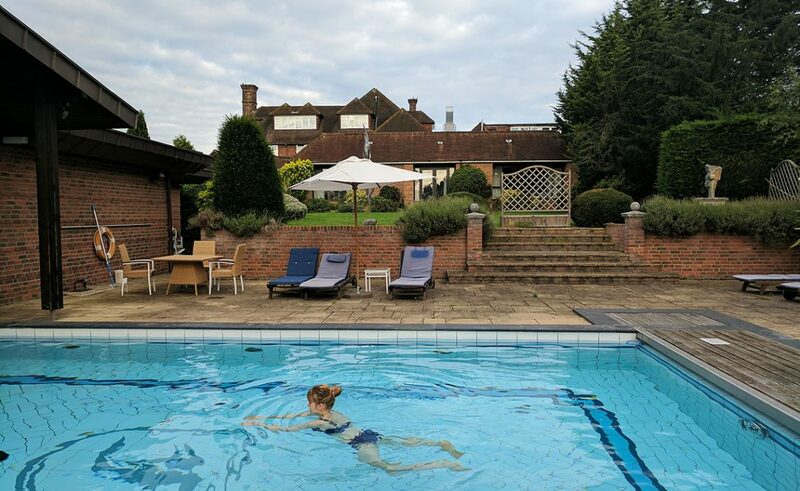 A luxury 4* hotel around a 10-minute walk from Maidenhead station, Fredrick’s Hotel and Spa is great for those wanting to leave the car at home and simply relax. After an afternoon at the nearby BCA enjoying a meerkat experience (more on that in another post! 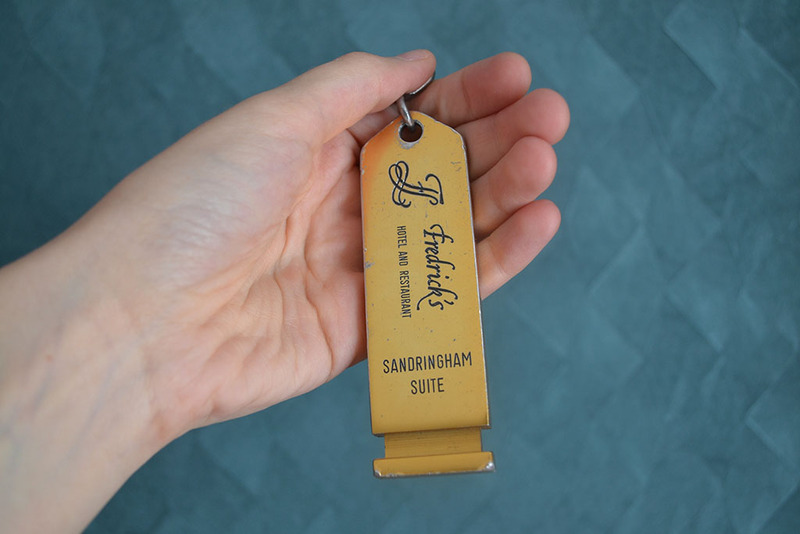 ), Ian and I checked into the beautiful Sandringham Suite for the night. 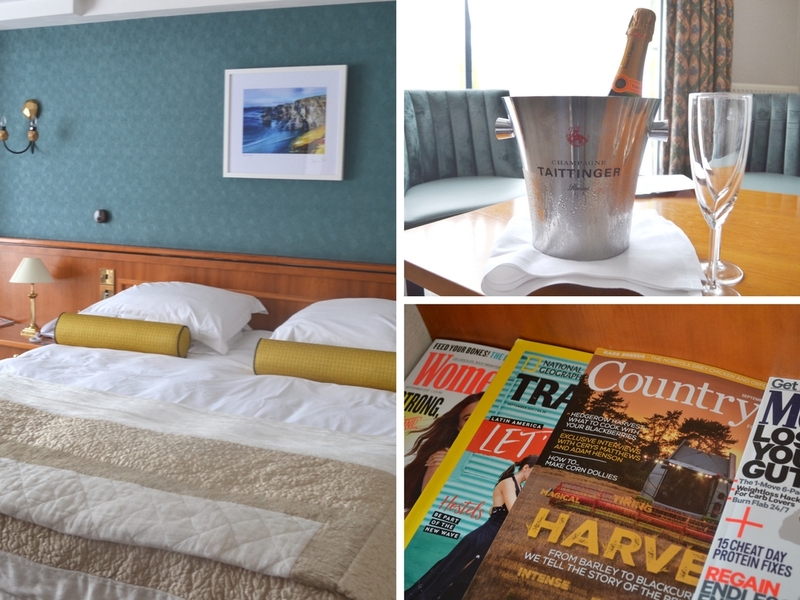 It’s just one of the 37 individually styled rooms you’ll find on-site, with a few special features such as a private outdoor patio area, the latest magazines, armchairs, and a welcome bottle of Champagne. 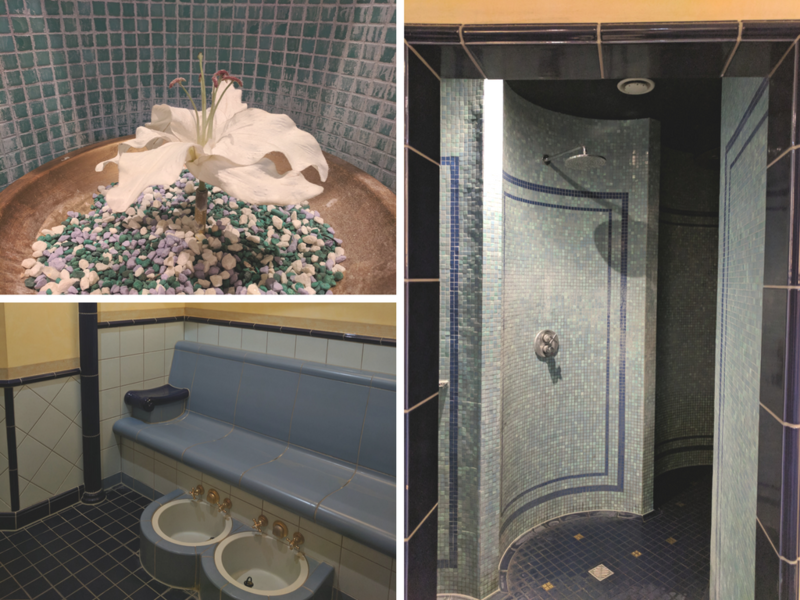 It’s also pretty much the closest room to the hotel’s spa, which was the first place we went to after we dropped off all our stuff! It was the first time in years I had the confidence to wear a bikini, thanks to losing almost 4 stone in the last 18 months. I plumped for a classic two-piece from Figleaves because I was able to mix and match my size on the top and bottom. It was slightly pricey, but worth the investment for the months ahead! 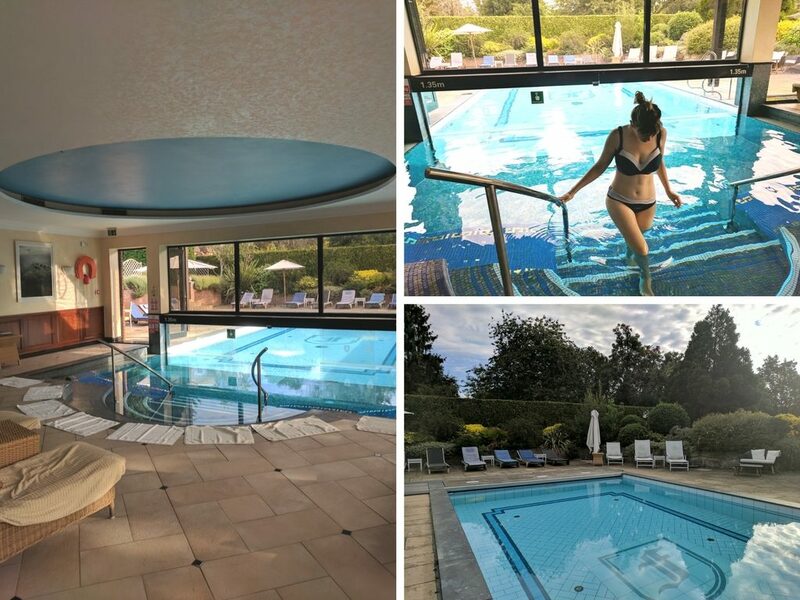 The pool itself is the absolute highlight, featuring a small indoor area (with jet area and a waterfall fountain) which extends outside into the hotel’s quiet gardens. 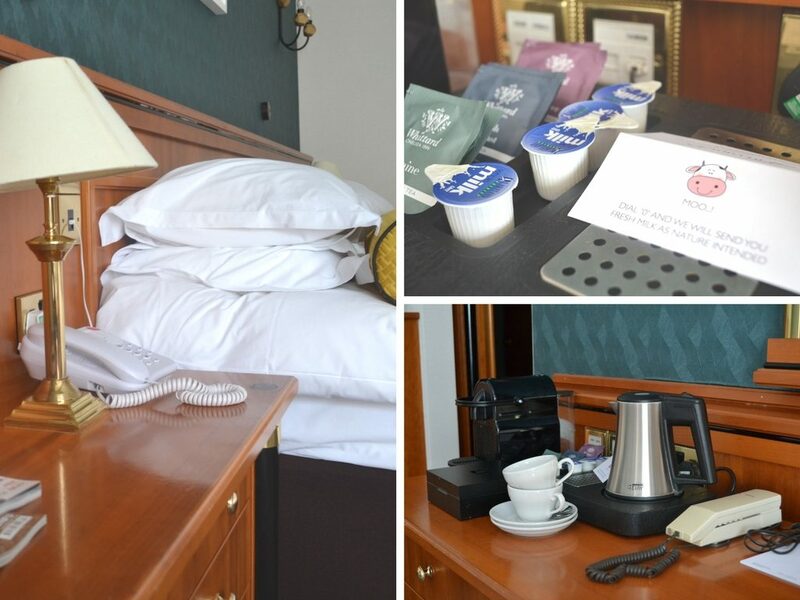 There’s also a sauna, a steam room, experience rain showers, a fully equipped gym, and treatment rooms. We spent around an hour on both days we were there just having a soak in the warm water of the outside pool area. On the Saturday afternoon there were only a handful of loungers available, but on the Sunday morning we had the pool all to ourselves. Why can’t every morning start like this?! 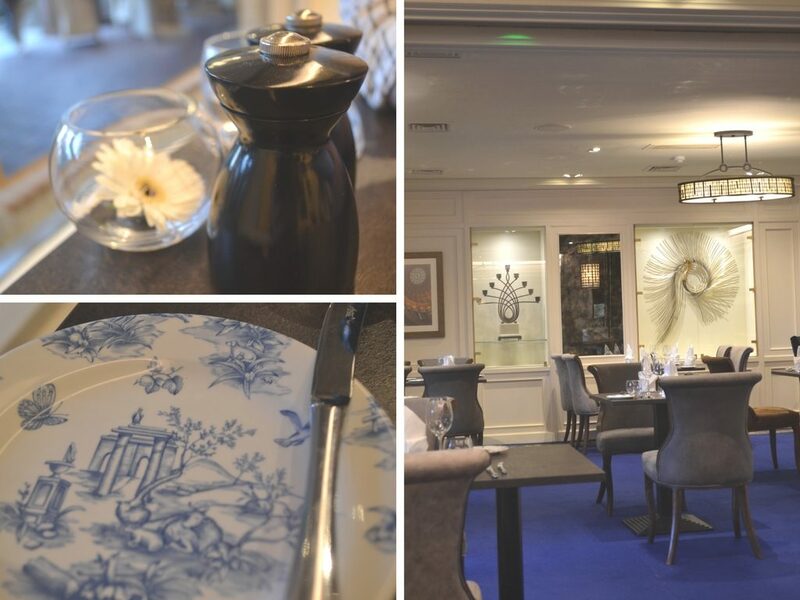 On the Saturday evening we were treated to a slap-up three-course in the hotel’s restaurant, which has been awarded 2 AA Rosettes. I think this was the first time both Ian and I had tucked into food that has been good enough to been awarded something, so it was a big experience for us. 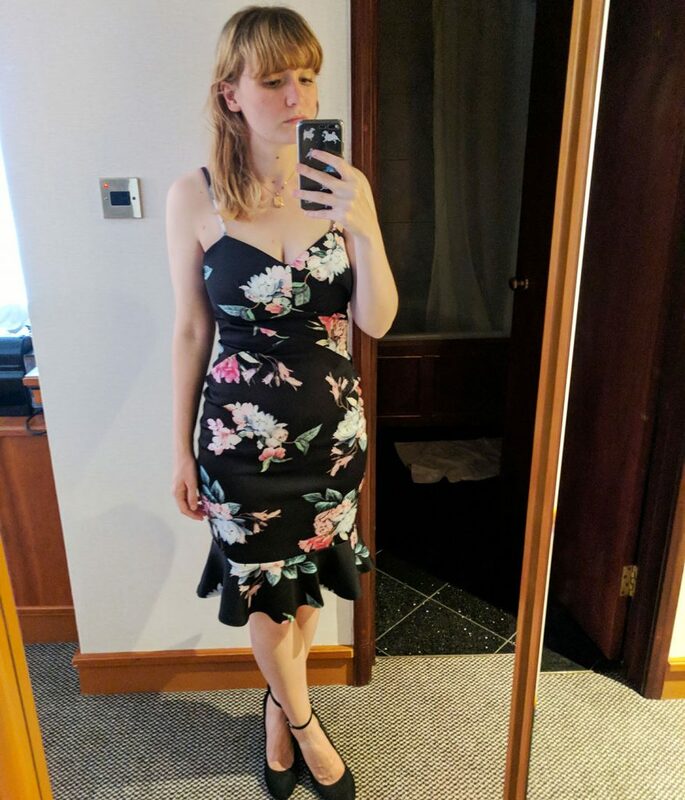 It felt so good to dress up for the evening, whipping out my new fancy dress from Sistaglam and some heels (excuse the straight-from-spa-to-restaurant hair though…). When we got to the restaurant itself, I was a little disappointed that the only vegetarian starter had goats’ cheese in (my arch nemesis), but I can confirm that the rest was as delicious as it looked. 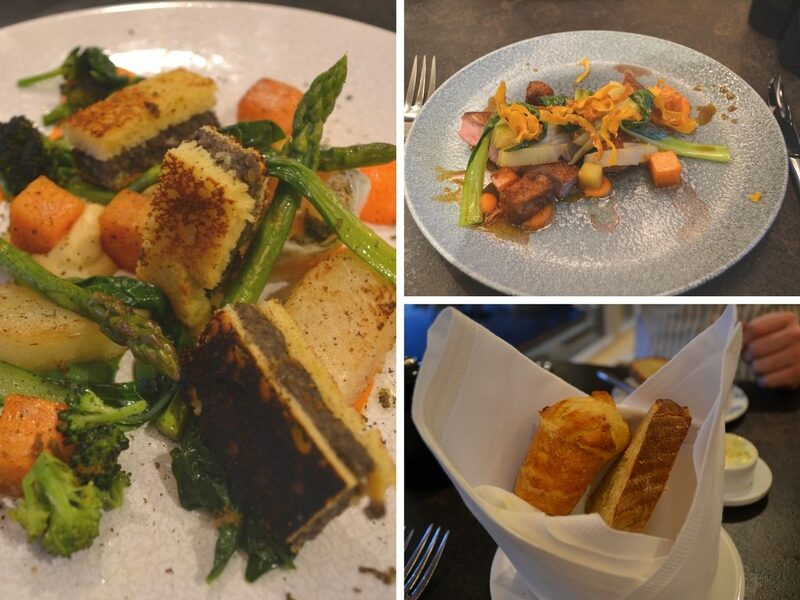 For the main course I had slow-cooked duck eggs with truffle, spinach, salsify, turnip and brioche soldiers, while Ian stood in for the meat-eaters and opted for pan-fried breast of duck complete with sweet potato, bok choi and pickled plum. This was the first time in a while I’ve actually seen Ian speechless after eating something… He even hushed me at one point, because he was trying to enjoy every last flavour sensation of the last bit of duck! A side of bread was also provided and, while I wasn’t able to have the brioche because bacon was involved, I got an extra helping of sourdough bread which was beyond delicious. 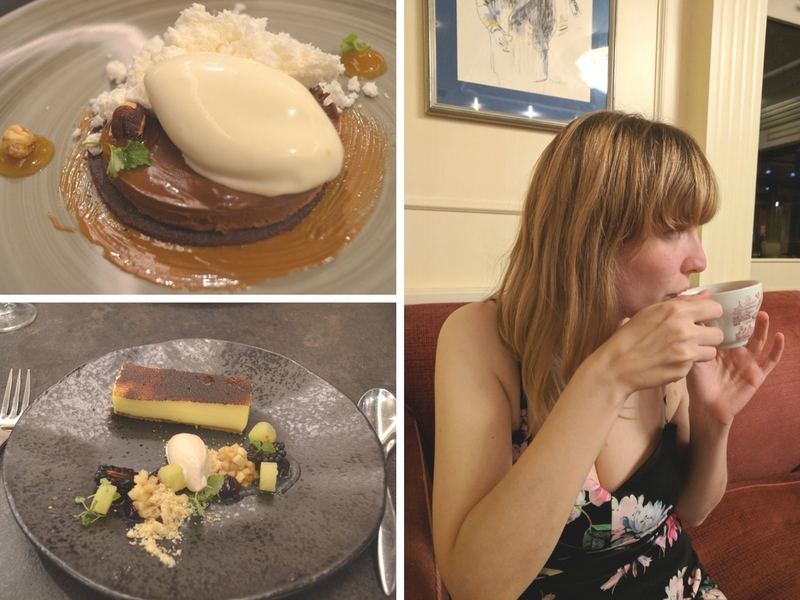 But the absolute highlight was the desserts – I had the chocolate cremeux with tonka bean ice cream, praline and hazelnut, while Ian had the duck egg custard tart with cinnamon ice cream and spiced apple. My chocolate dish was incredible, but Ian’s custard tart was smoother than hot butter, and just melted on the tongue. Still dreaming about it now to be honest… Once we’d wrapped up our meals, we enjoyed a few drinks in the bar next door, drinking a few rum drinks before finishing with a cup of tea. Because yep, we know how to rock a Saturday night! 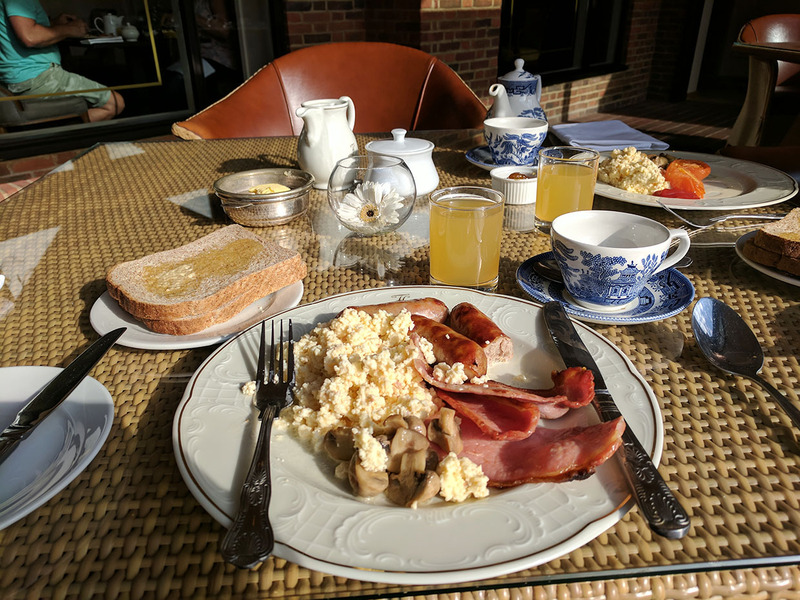 While we’re on the subject of food, the breakfast the next morning was incredible too. 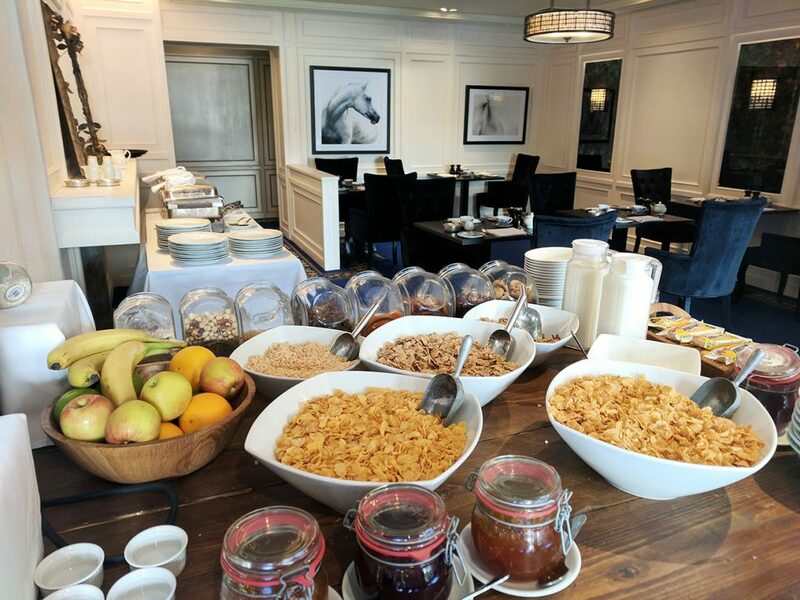 There was a full selection of cereals, pastries, fruits, toast and hot foods so you could pick and choose whatever you fancied, and stock up for the full day ahead. As our check out time rolled around, I was slightly dragging my heels when Ian mentioned about getting packed up. 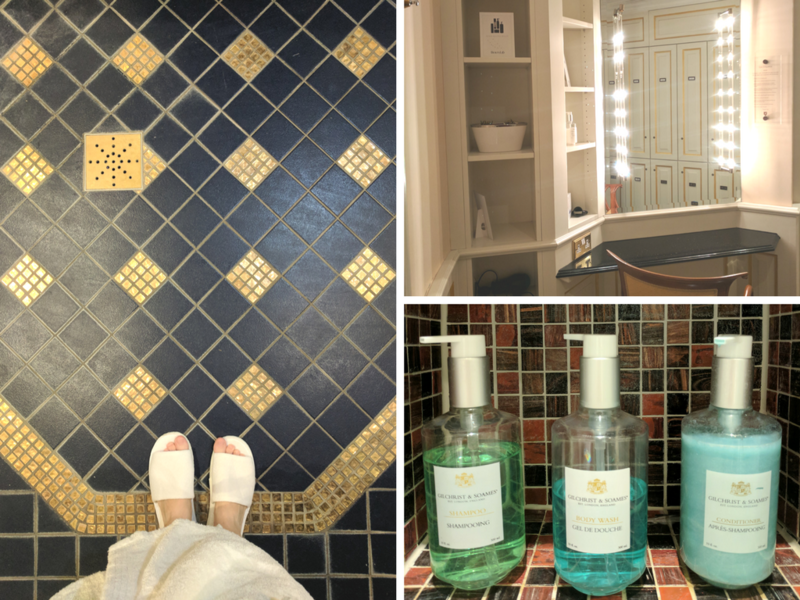 Fredrick’s Hotel and Spa was a peaceful, relaxing bubble for the weekend, providing us with the opportunity to recoup our energy before an exhausting few months ahead. 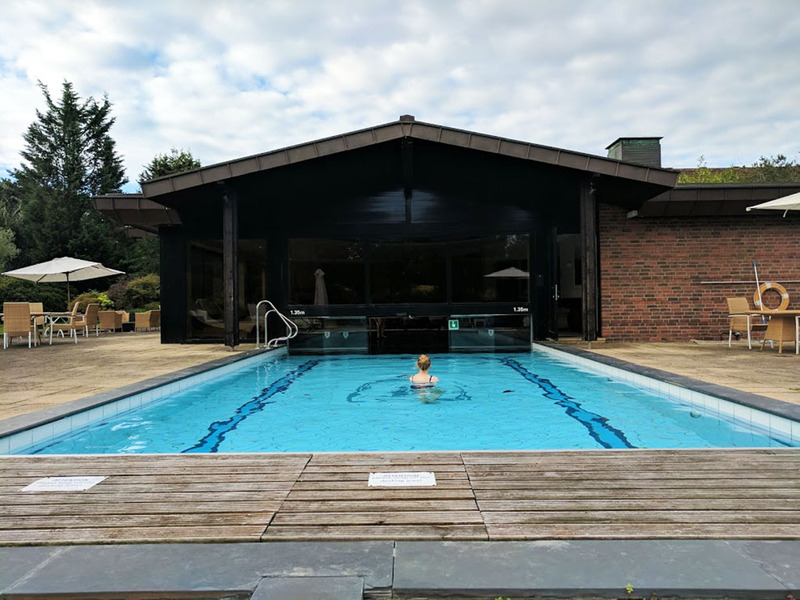 It was also a good reminder that I desperately need to make spa weekends a more regular thing – good for the body and for the soul, what’s not to love?! 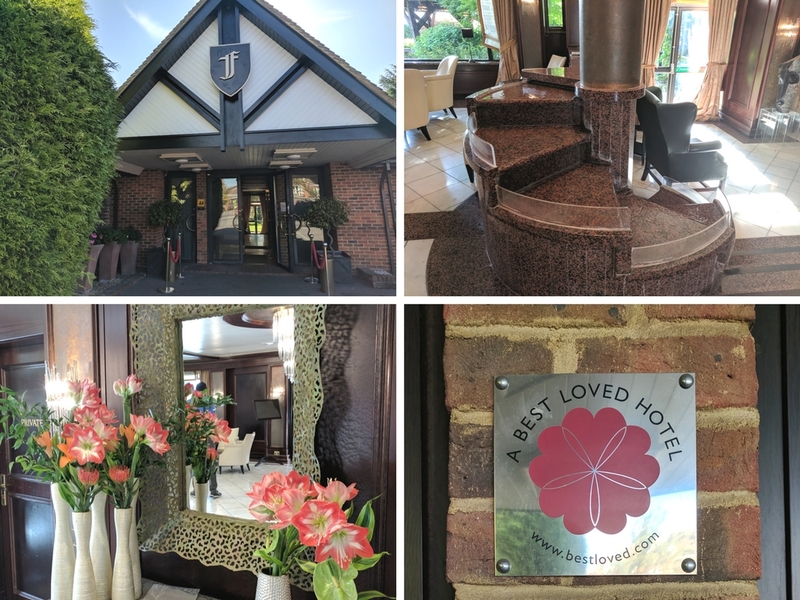 Disclaimer: Many thanks to Best Loved for hosting us for our weekend away, and to the friendly staff at Fredrick’s for being so wonderful! All opinions and pictures, however, are as always entirely my own. Win a 7-Night Family Villa Holiday in Florida! You figure is looking incredible!! 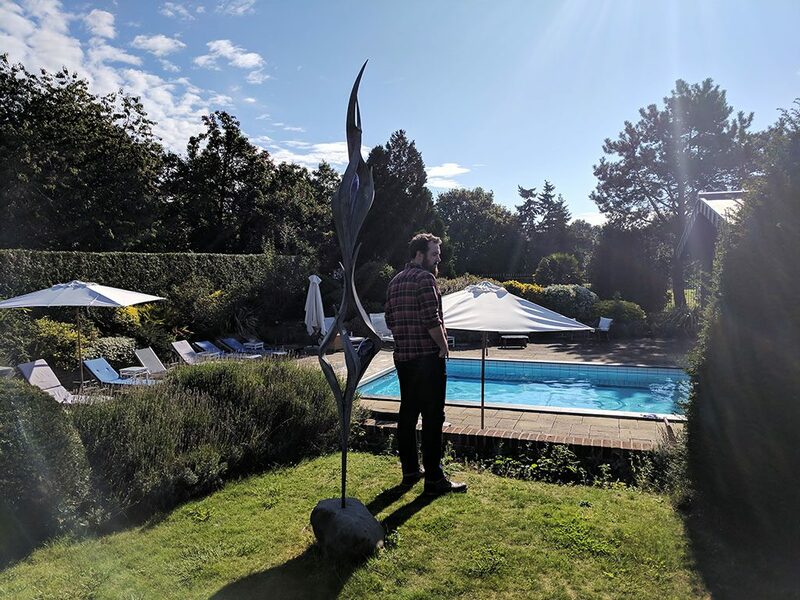 What a lovely staycation too! This place looks lovely, sounds like a great escape from it all. And wow, that meal! Glad you guys had such a lovely time, and looking great in that bikini my dear. Well done you – I feel rather guilty sitting here munching on wine gums now, I should get my arse into gear and start doing my walks again before the weather turns crap! It seems amazing trip. I feel envy with you after seeing this pictures. you are looking gorgeous. The pictures of the food look yummy. I also want to spend my holiday in such a luxury style. Thanks for sharing this blog.